Si hace unos días iba con calzado rosa, hoy toca el jersey en ese color. Es genial al mezclarlo con pantalones cortos y calzado blanco, no? If some post ago were pink sneakers, today it’s time to use a pink jumper. It’s a perfect mix with shorts and white shoes. 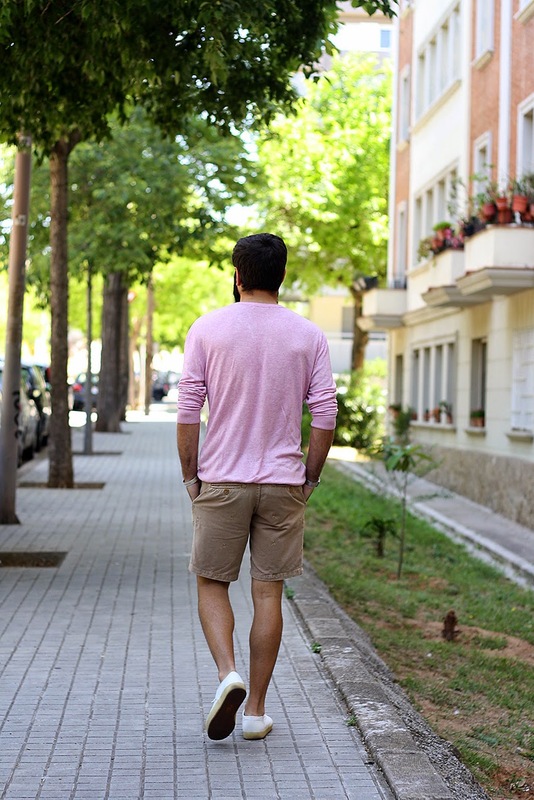 I like this casual look, the pink sweater is the perfect shade of pale pink, and tree detail on the shorts is swell! Esas bermudas me rechiflan Pablo! Me gusta la combinación de beige y rosa!